WASHINGTON, DC, May 22, 2013 (ENS) – The Obama Administration’s plan to remove the gray wolf from the protections of the Endangered Species Act, as detailed in a draft Federal Register notice released today by Public Employees for Environmental Responsibility, PEER, is temporarily on hold. The reasons for the indefinite delay announced this week were not revealed nor were the records of closed-door meetings to craft this plan that began in August 2010. Today a federal Freedom of Information Act lawsuit to obtain the records from those meetings was filed by PEER, a nonprofit national alliance of local, state and federal resource professionals. The draft Federal Register notice would strike the gray wolf from the federal list of threatened or endangered species but would keep endangered status for the Mexican wolf. No protected habitat would be delineated for the Mexican wolf, of which fewer than 100 remain in the wild. This step is the culmination of what officials call their National Wolf Strategy, developed in a series of federal-state meetings called Structured Decision Making, SDM. Tribal representatives declined to participate. On April 30, 2012, PEER submitted a Freedom of Information Act request to the U.S. Fish and Wildlife Service for all SDM meeting notes, handouts and decision documents. More than a year later, the agency has not produced any of the requested records, despite a legal requirement that the records be produced within 20 working days. Today, PEER filed suit in the U.S. District Court for the District of Columbia to obtain all of the SDM documents. “By law, Endangered Species Act decisions are supposed to be governed by the best available science, not the best available deal,” said PEER Executive Director Jeff Ruch, pointing to a letter from the nation’s leading wolf researchers challenging the scientific basis for the de-listing plan. “The politics surrounding this predator’s legal status have been as fearsome as the reputation of the gray wolf itself,” said Ruch. Among other problems with the delisting proposal, the scientists say it ignores the positive influence of large carnivores such as wolves on the ecosystems they inhabit. “The gray wolf has barely begun to recover or is absent from significant portions of its former range where substantial suitable habitat remains. The Service’s draft rule fails to consider science identifying extensive suitable habitat in the Pacific Northwest, California, the southern Rocky Mountains and the Northeast. It also fails to consider the importance of these areas to the long-term survival and recovery of wolves, or the importance of wolves to the ecosystems of these regions,” the scientists wrote. PEER charges that the resulting National Wolf Strategy used political and economic factors to predetermine the answer to scientific questions, such as the biological recovery requirements for wolves and ruling out areas in states within the species’ historical range which lack sufficient suitable habitat. Jamie Rappaport Clark, president of the nonprofit Defenders of Wildlife, is a former director of the Fish and Wildlife Service who served during the Clinton Administration. Clark and five other heads of environmental organizations – Center for Biological Diversity, Earthjustice, Endangered Species Coalition, Natural Resources Defense Council and Sierra Club – last week sent a letter to Secretary Jewell asking that she reconsider the nationwide wolf delisting plan. 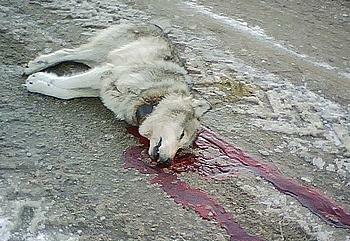 Since wolves in Montana, Idaho and Wyoming were delisted in 2011, more than 1,100 wolves have been killed in these Northern Rockies states. Gray wolf populations were extirpated from the western United Stated by the 1930s, explains the Fish and Wildlife Service. Public attitudes towards predators changed and wolves received legal protection with the passage of the Endangered Species Act in 1973. Subsequently, wolves from Canada occasionally dispersed south and successfully began recolonizing northwest Montana in 1986. 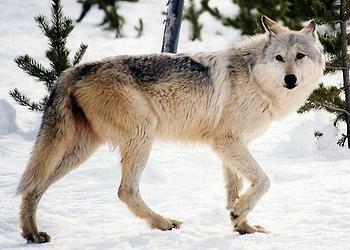 In 1995 and 1996, 66 wolves from southwestern Canada were reintroduced into Yellowstone National Park and central Idaho. Recovery goals of an equitably distributed wolf population containing at least 300 wolves and 30 breeding pairs in three recovery areas within Montana, Idaho, and Wyoming for at least three consecutive years were reached in 2002, according to the Service.